We have worked together since 2005. Over the years, as our experience and knowledge has expanded, we now thoroughly understand that patients need a personal yet professional approach. We ensure that each patient receives time so that we can understand their problem, talk through expectations and work with patients to help them achieve their goals. We are registered with the Chartered Society of Physiotherapy (CSP), Health & Care Professions Council (HCPC) and The Acupuncture Association of Chartered Physiotherapists (AACP). Halo Physio opened in March 2013 with the aim of offering patients high quality treatment in a calming and professional atmosphere. Within the Physiotherapy clinic we have a complimentary therapy team who work with us offering treatments of sports massage, deep tissue massage, aromatherapy and reflexology. 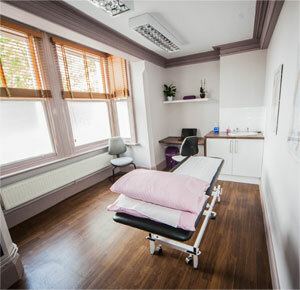 We have 4 spacious treatment rooms that have been recently renovated to our very high standards. 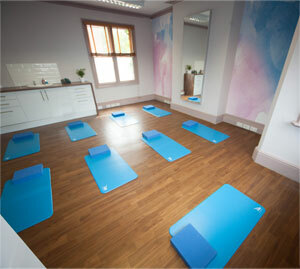 Treatment Room 1 doubles as our studio which is suitable for small classes of up to 8 people, we believe small numbers means better quality, and is where we currently offer Pilates classes to suit all abilities. While you wait to be seen, and after your treatment, you can relax in our comfortable reception area where you can enjoy a drink, read a magazine and catch up with the latest Halo News.